Rand has a unique recipe; the show starts at ten and ends at four with very little repeats and the crowd line is adjacent to the main taxi way and spectators are treated a close up view of all the participants as they taxi past for their displays. Catering to the needs of the more than 15,000 visitors that this year flocked to the historical airfield for a feast of aviation were row upon row of food and refreshment stalls that offered a variety of meals to suit all tastes as well as stalls of the usual traders found at most outdoor events. A large number of aviation businesses were also present. 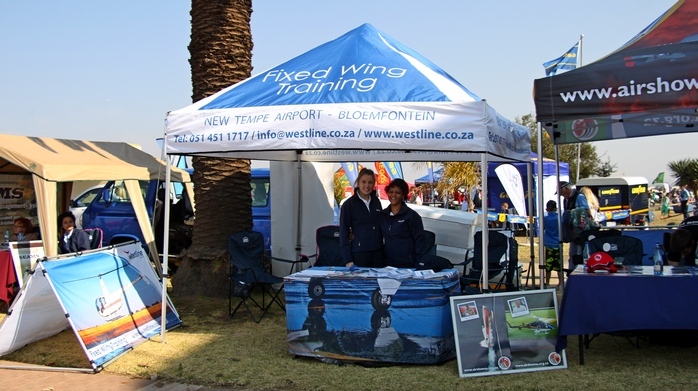 Westline Aviation of Tempe, Bloemfontein one of SA's largest flying schools. 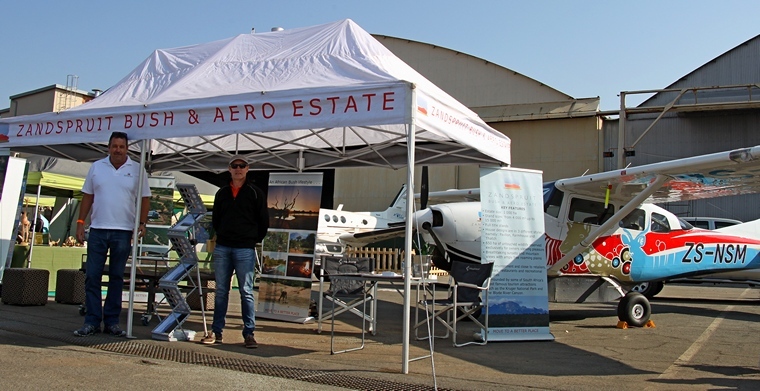 Rand came up with two world first; a display by four of Henley Air's Bell 222 and a formation display by ExecuJet's Bombardier Challenger accompanied by two RV 7s and two RV 9s of the RV Raptor Display team. A welcome visitor and one that was a regular at airshows a number of years ago and one hope will hopefully again be was the Junkers Ju52. 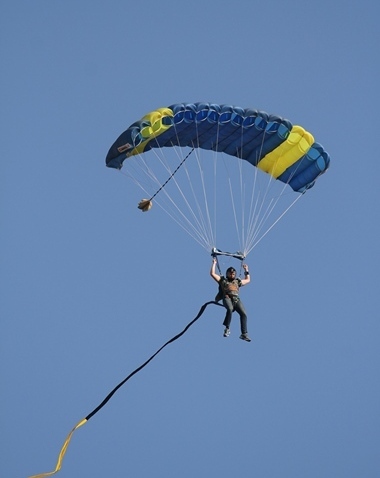 Rand is radial country and after the opening of the show by a team of Skydivers fittingly jumping from an Antonov AN-2 a mass radial flypast of 15 round engine aircraft filled the sky with their distinctive sound. 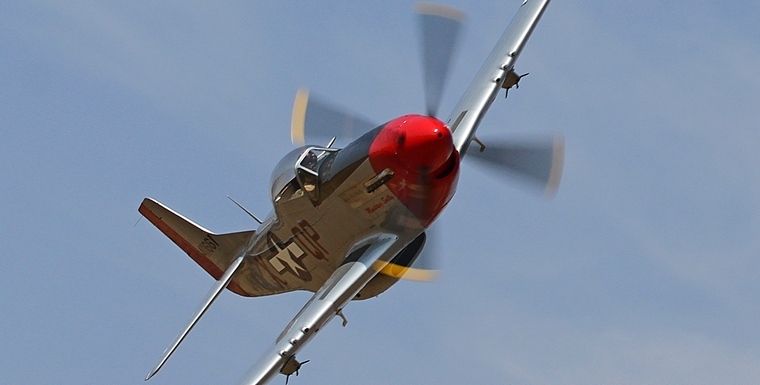 Besides the legendary Junkers three other iconic radial engine airliners graced the sky. The DC-3 'Delany' was set for export to the UK when fortunately the deal fell through and she was bought by Menno Parsons of Master Power Technologies, one of the major sponsor and supporters of airshows. The Beech 18 belongs to Springbok Flying Safaris whilst the DC-4 is part of the Historic Flight's fleet. Rand is also base of the most of SA's formation teams. 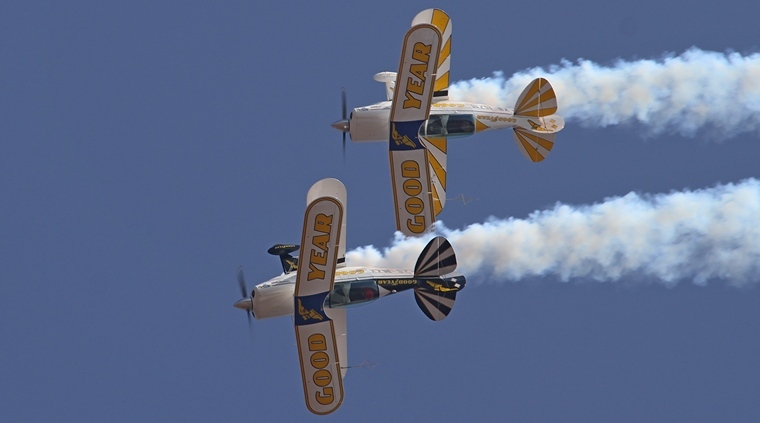 The Goodyear Pitts Specials���. And the Team Torre Pitts Specials�����.. The diminutive Pitts Special this year celebrated its 70th anniversary. 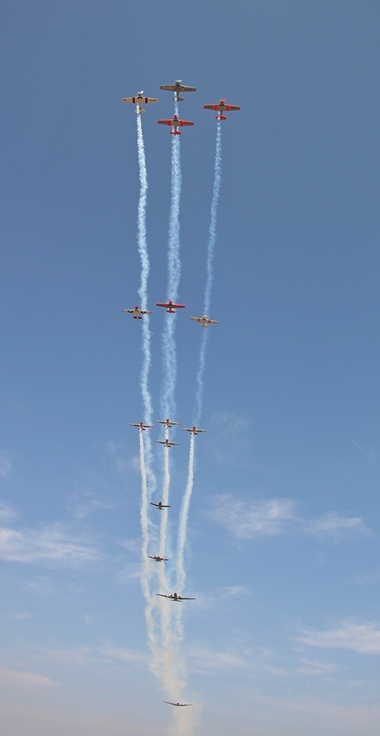 To celebrate this a nine ship formation of the iconic Pitts took to the sky. 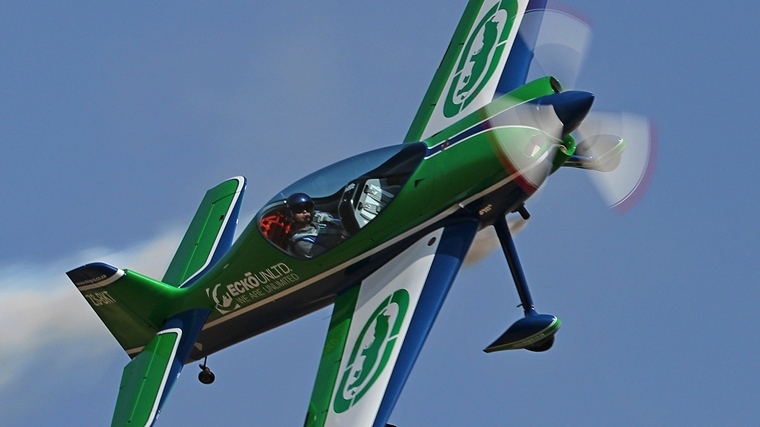 No other aerobatics aircraft in history has done more for the development of the sport of aerobatics. 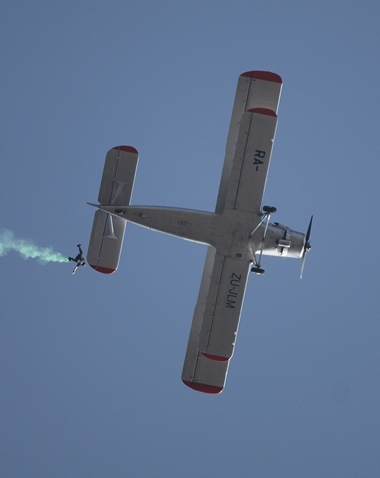 South Africa lost both its MX 2 aircraft last week, Nigel Hopkins's in a mid-air break up during the World Championships in France and Mark Hensman's in a fire in China. Jason Beamish's Xtra was also destroyed in the fire. 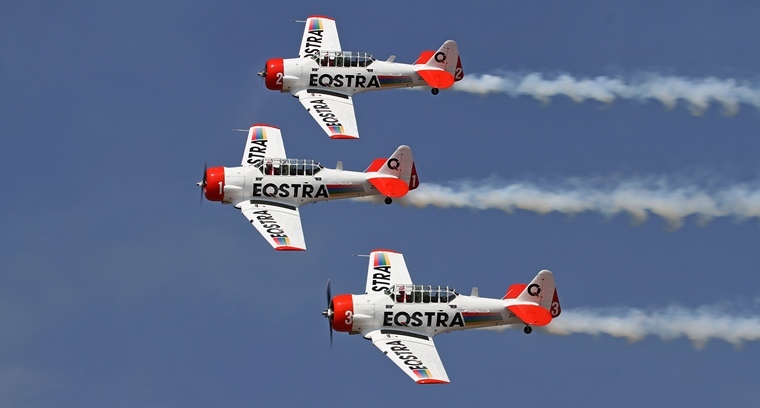 Fortunately we have a crop of world class pilots flying some of the most modern aerobatic aircraft and five were part of the program at Rand. Larry Beamish in another Extra flew as soloist as part of the Raptors RV formation. The Raptors fly homebuilt Vans RV aircraft and after only a few appearances at shows has already made a name for themselves with their superbly choreographed display and close formation flying. 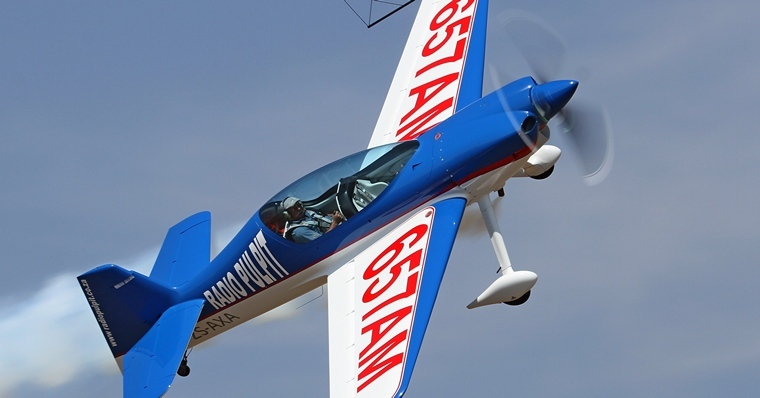 Frank King during his solo display in the RV 7 showed why Vans kit aircraft are the most popular kitbuilt aircraft in the history of aviation. More than 10,000 has been sold worldwide and an estimated 140 are currently flying in South Africa. 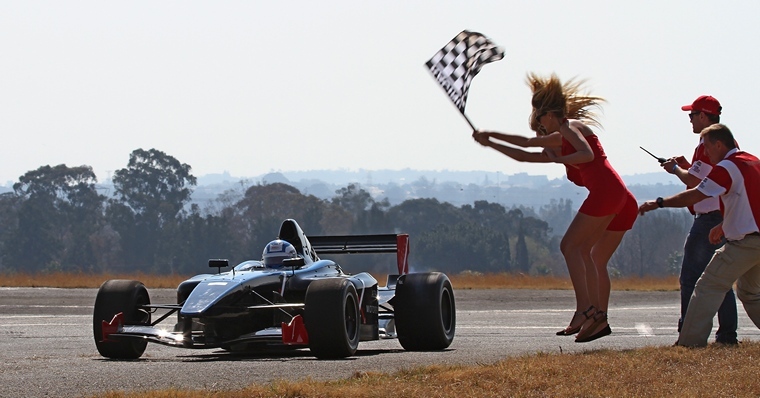 Rand is not only about radials, veteran airliners and aerobatics. Jet airliners features prominently on the program and on Saturday the spectators were treated to probably one of the best displays in a passenger jet ever seen at a local show when the Mango 737 arrived from OR Tambo International. 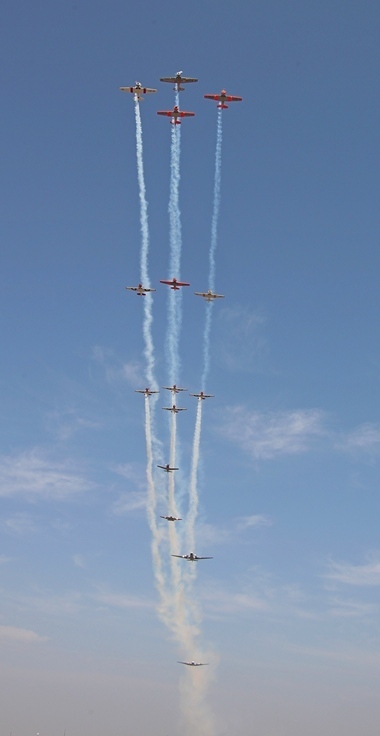 For most warbirds is what airshows are all about and planned for Rand was the Impala, Trojan, Mustang and L-39s. The Impala and Trojan unfortunately were not displayed but Menno Parsons's two displays in Mustang Sally more than made up for it. The crowd loved Menno's high speed series of passes. 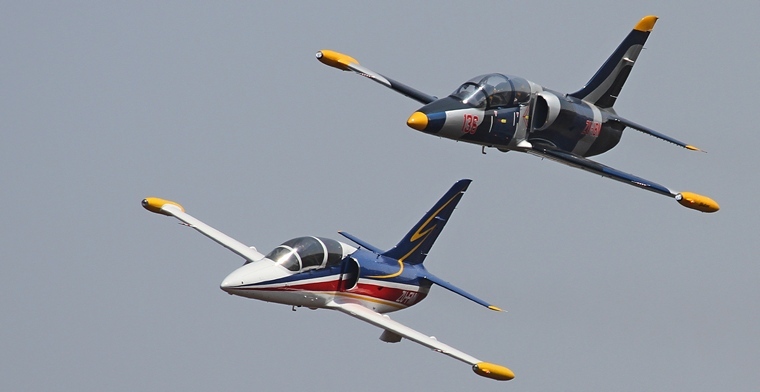 Two L-39's performed a graceful close formation display with Larry Beamish and Pierre Gouws at the controls. Aircraft racing cars have become almost a must at an airshow. 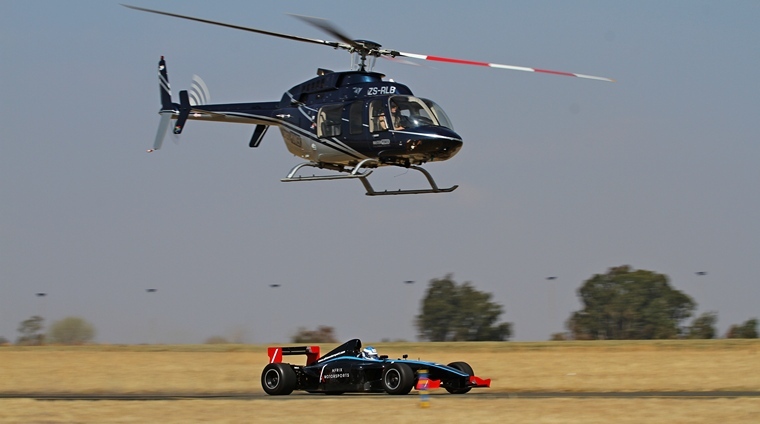 Much more exciting, in my opinion, is a helicopter vs car race and at Rand one of Menno's Bell 407s race a Formula Renault and the helicopter won when the car missed a turn. After all that horsepower in was time for Gary Whitecross in his Pilatus glider to show that one does not a engine to fly and to do aerobatics. Gliding or soaring is where aviation all started and it still remains the purest and probably the most inexpensive form of flying. 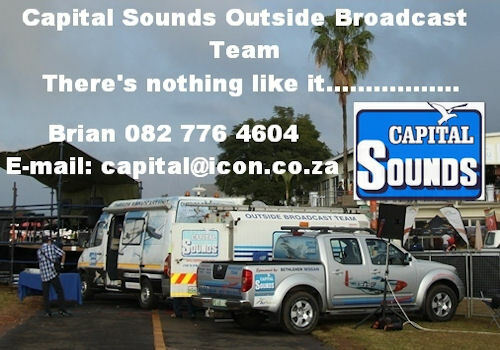 Commentary at an airshow serves two main purposes; to inform and to entertain and Capital Sounds, sponsored at Rand by Lanseria based ExecuJet, excels in both. The team led by Brian Emmenis are true professionals that have been in commentating at airshow and other aviation events for more than 30 years. Did Rand live up to its reputation as one of the most popular airshows on the calendar? Without a doubt. It is consistently good with a variety of aircraft seldom seen at other shows. It is always well organised and in its history has had no incident or accident. The management of Rand and all the numerous others involved can be justifiably proud of having presented an airshow of world class standard.